DataMystic welcomes Microsoft Access users! Save Hours! 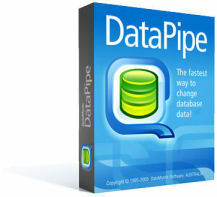 DataMystic's DataPipe application applies multiple find and replace terms to records in your Microsoft® Access® database. Use it to correct typos, fix old codes, correct capitalization in names, provide standard street abbreviations and more! Major credit cards, purchase orders and checks accepted.